Here are some of my favourite sites, not the most obvious. A short taxi ride from downtown Washington DC brings you to the house where Lincoln spent about a quarter of his presidency. It was his Camp David, a retreat from the heat and putridity of the White House. It was one of 22 soldiers’ hospitals and it was protected by Company K, the president’s guard. Lincoln visited here at some personal risk given that the Confederacy had an active spy network and he was once shot at on the horseback ride. 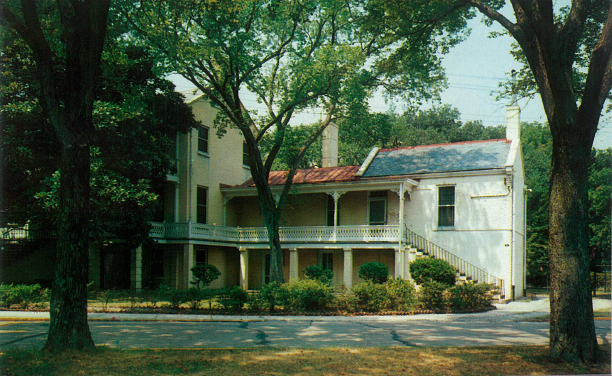 In recent years the Soldiers’ Home has been restored and has thus become another important Lincoln site. But think of it: from these windows he would have seen 30 to 40 burials a day and he would have walked through the adjacent cemetery. War, at the best, is terrible, and this war of ours, in its magnitude and duration, is one of the most terrible. Bob Carr with an old friend. Here on the Virginia peninsula, Near Norfolk, is a huge fort, originally built as part of the stiffed-up defence of the United States after the catastrophic War of 1812 which saw a British invasion of Washington. For Civil War enthusiasts it is where Lincoln visited and stayed a night during the Peninsula Campaign of 1862 and where, after the Civil War, Jefferson Davis, the president of the Confederacy, was imprisoned in a casemate (a chamber which housed a cannon). Of course, Jefferson Davis was never brought to trial because the United States feared he would beat a charge of treason in the US Supreme Court. The US Constitution, after all, had contained no clause forbidding secession. As a result indicting Davis was high risk. Quarters No 1 Fort Monroe: Lafayette was entertained here in 1824. Lincoln stayed here some days in May, 1862. The cell in which Jefferson Davis, President of the Confederacy, was imprisoned in 1865. It was the climax of General George McClellan’s attempt to take Richmond through the peninsula and the battles that comprised the Seven Days campaign confirmed McClellan’s failure. He was beaten back by the Confederates led by Robert E. Lee and the battles made Lee’s reputation and won him the command of all the Confederate armies. In the following article, which appeared in the Sydney Morning Herald’s travel section I give an account of theses sites which can be covered in a day’s trip around Richmond. ‘On to Richmond!” was the battle cry of armchair generals in the North during the American Civil War. But while four years of fighting sometimes lapped around the Southern capital only 150 kilometres from Washington Richmond was not to fall until April 3, 1865, just before the final Southern collapse. The next day, Abraham Lincoln arrived in the gutted and embittered city. He went to a narrow-fronted, three-storey home in Clay Street, the Confederate White House and the home of the President of the Confederate States, Jefferson Davis. 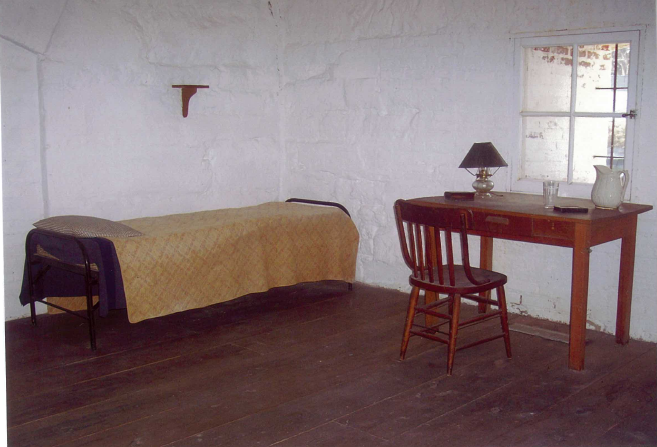 In a demonstration of his character, Lincoln declined to enter the Davis family’s living quarters, now preserved with the original furniture. Sacred relics of the rebellion are housed in the museum’s three storeys, including General Robert E. Lee’s campaign tent with its camp bed and utensils and his surrender sword from Appomattox. Here hangs the original oil painting, The Last Meeting Of Lee And Jackson, which spawned prints that were to decorate thousands of Southern homes. With these and other relics, the museum, opened in 1896, reflects the “lost cause” romanticism of Southern loyalists in the decades after the defeat. Dedicated collecting by Southern women has accumulated the plumed hats of generals, their pistols, swords and spurs and the instrument boxes of their surgeons, military maps and war-time art. In turn, the collection spurred Southern historians such as Douglas Southall Freeman and Shelby Foote to verify and record the stories around the objects. By contemporary standards, there is too little focus on the story of African-Americans. The museum has panels on how slavery sustained the Confederate economy and provides an account of blacks conscripted to labour for the Confederate army. A fuller account of the reality of slavery and the African-American narrative can be found at Richmond’s second museum, the American Civil War Centre located in the grounds of the Tredegar Iron Works, which had pounded out 1160 cannons for the South. This is where you learn that, in 1860, Southern slaves were worth more than the factories or railways of America we know it from the value placed on them at slave auctions. The African-American narrative 180,000 black soldiers fought in the war is told here, as well as Union and Confederate stories. Established in 2006, the American Civil War Centre has a timeline that begins in 1776 and enough photos, films and documents to fill a 90-minute visit. In the end, it is arresting objects that make a museum: I find myself fixated on the Whitworth rifle. It could fire a mile and had a telescopic sight. There were snipers in both armies, part of the killing machines that slaughtered more than 620,000 Americans. The Civil War was in essence a fight for Virginia and I am reminded of this by one of the printed guides to the Virginia Civil War trails. I spend a day looking at sites close to the city. A hire car with a GPS and the Civil War trail guides get me everywhere I wish. Because of the sheer bloodiness of Civil War battles, Richmond became a hospital city and Chimborazo, above the James River, became the biggest military hospital the world had seen, with 150 buildings and 100 tents. It treated 76,000 people with a mortality rate of between 10 per cent and 20 per cent, which by the standards of the 1860s made it a miracle of hygiene. Its numbers swelled with the Peninsular Campaign of 1862, which brought a Northern army so close to Richmond its soldiers could set their watches by the bells of the city’s churches. There is a small museum that brings the site alive. From Chickahominy Bluffs on June 25, Jefferson Davis and General Robert E. Lee looked down on Union forces occupying the nearby hamlet of Mechanicsville. From the bluff, Lee, who was sick of waiting for Stonewall Jackson, directed General A. P. Hill to cross the Chickahominy River and take the enemy. This was the start of the Seven Days Campaign that saw the Union army defeated, Richmond saved for the South and Lee, until then caricatured as “Evacuation Lee” or “Granny Lee”, elevated as Confederate saviour. 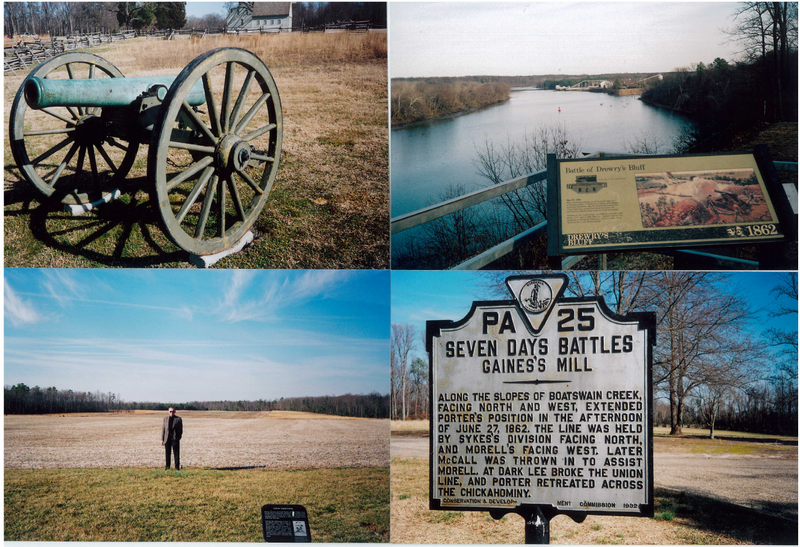 From Beaver Dam Creek to Gaines Mill and Malvern Hill, you follow the trail of the grappling armies. It was not an easy string of victories for the South. At Malvern Hill, for example, a visitor strolls a line of Union cannon facing gently sloping land. The line protected the retreat of the Union armies and repelled General John Magruder’s division with canister and grape shot. No Southerner reached the Northern line. “It was not war, it was murder,” said an officer. But an even more vivid site is Drewerys Bluff. Twenty-seven metres above the James River, a cluster of cannon protected the river approach to Richmond, rendering it a closed artery. In 1862, a five-ship flotilla under General Ben Butler rounded the bend. The Confederate bastion opened fire with the aid of Confederate riflemen in the forests, scattering the decks with bullets and shot. They brought the naval advance to a halt. This fortress was to remain in Confederate hands until the end of the war. It is a thrilling site, where the earthworks survive and the cannons still point at the bend in the James. Between Beaver Creek Dam and Gaines Mill, I take a leap in sequence out of the Seven Days Campaign of 1862 to the climactic assault on the Confederacy waged by Ulysses S. Grant in the summer of 1864. Known as the Overland Campaign, it was a series of bloody engagements: the Wilderness and Spotsylvania, then Cold Harbor, a crossroads on the Chickahominy, only 10 kilometres from Richmond. “I propose to fight it out on this line if it takes all summer,” Grant famously said. He had what was described as a “bulldog grip” on Lee. The Cold Harbor site commemorates the June 1864 assault by 20,000 Union men on entrenched Confederates. I inspect the earthworks in which, before the successful charge, the Yankees sewed their names on their uniforms. Up to 7000 of them fell. Touring the earthworks in the forest I was reminded that the Civil War was a war of rifles and trenches as World War I was a war of machine guns and trenches. 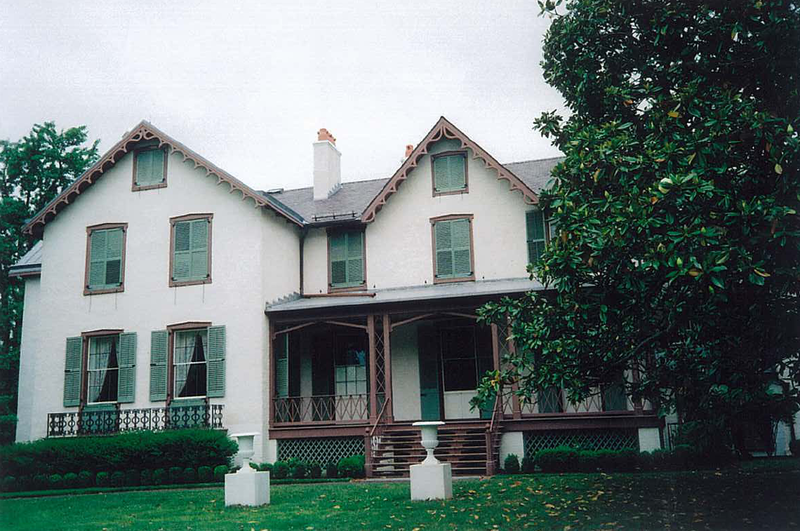 Fredericksburg has heritage streetscapes and historic houses, including the home of President James Monroe, and Chatham, which became the Union headquarters during the ill-fated excursion. A must is a visit to the Stonewall Jackson shrine the farmhouse to which the Southern general was brought after being wounded at the 1863 Battle of Chancellorsville by fire from his own side. He was Lee’s right arm. The death room features the original bed frame and one of the blankets. “I’ve always desired to die on a Sunday,” the war hero said. As I walk through the sites, savouring the Southern perspective on the war, I have in my head the verdict of U.S. Grant on the Southern army when he presided at its surrender at Appomattox. Grant admitted to sadness at the defeat of a foe “who had fought so long and valiantly and had suffered so much for a cause, though that cause was, I believe, one of the worst for which people ever fought”. It was colossally fortified by the South with redoubts, redans and lunettes all fronted by seriously deep trenches. In Grant’s first assault on May 19 1863 the North lost 2400, the Confederates only 10, a measure of the success of those fortifications. Three days later Grant was to loose another 3000. That’s out Grant, profligate with his soldiers’ lives. Apparently it was in these battles that Sherman, as corps commander said “this is not war, but murder.” His real success was to come when he poisoned the creeks that serviced the city, by dumping dead animals into them. In other words, Grant used germ warfare as well as huge Parrot guns that could fire three to four miles. What I learned by visiting this city and touring this battlefield park was that the battlefield was away from the city and not close to the river. Vicksburg had these features: one, it was on a bend of the Mississippi and boats had to slow; two, it was very high on a bluff; three, it had held out when all other Mississippi towns including Natchez had fallen to the North; and four, only Washington DC was more heavily fortified. Hence the strategic significance of its fall on July 4, 1863 – the same day as the North’s triumph at Gettysburg. The town itself is very sad. On Saturday and Sunday we found that the streets were absolutely deserted without a coffee shop or a hamburger joint open. The hotel and motel accommodation is way out on the Interstate, and the tourist numbers – because of this appalling planning – does not feed the life of the historic old town. How do you find “the real America”? Or one of the many “real Americas”? As everybody tells you, it’s not through big cities such as New York, Los Angeles or San Francisco. It’s taken me a while to test a different approach and I think it’s paid off. Here it is: spend a week seeing one of the less obvious of the 50 states. Make it a plain unlikely one – say Alabama. Yes, the deep South where the Appalachians peter-out and America reaches the Gulf of Mexico. Or, historically, the cradle of the Confederacy and 100 years later, the epicenter of the battles over Civil Rights. Fly into Atlanta, Georgia, the USA’s busiest airport hub. A two and a half hour drive brings you to Alabama’s capital, Montgomery. On a Sunday you join the 11.00 am service in the very church where between 1954 and 1960 Martin Luther King preached, a simple red brick structure on 454 Dexter Avenue. The bricks had been gathered by former slaves from an abandoned road, the church itself built on a former slave pen. “The slave bells were echoing in the ears of some of our members. They had wounds from whippings that had not healed,” orates guest preacher, the Reverend Willy L Muse. “Oh yes”, “Amen”, “Alright”, “I like that”, responds the all black congregation. They even applaud. Then they sing accompanied by piano and drums. One parishioner, Hattie Minter, welcomed us and told how she met King in 1957. She said the famous bus boycotts had been organised in the church. That’s a thread that leads you to another site on Alabama’s Civil Rights Trail, the Rosa Parks Museum at 252 Montgomery Street. Here you walk the steps of the 42 year old seamstress who in December 1955 refused to give up her seat on the whites-only section of a local bus. The boycott that followed was a head-on challenge to the racial segregation on which the South was built. The boycott drew Martin Luther King into leadership. At 303 Jackson Street you step into a seven room 1950s home with a crater on the front porch left by dynamite flung while King’s wife and baby were inside. Hounded by over 30 to 40 death threats a day, King wrestled with the threats to his family. In an “epiphany” at the kitchen table he decided God had told him to fight on for justice. “Churches were the only institutions that blacks owned and controlled,” Dr Ed Collier tells us, and leads us into King’s small office. There is the table at which the Southern Christian Leadership Conference was formed, with its manual typewriter. On the bookshelves, a mix of 1950s best sellers and works on the church. Along with this story of civil rights stands the earlier history of white, slave-owning Alabama and the mythology of the Lost Cause of the South. Five minutes from the Dexter Avenue Church stands the gracious State Capital where Jefferson Davis in 1861 was inaugurated as President of the Confederacy. Inside you inspect the old house chamber where Alabama had voted to secede from the United States. At two Dexter Avenue stands the old telegram building from which this new government of slave owners ordered the firing of cannons at Fort Sumter in Charlestown, South Carolina, the act that began the Civil War. A historical marker on Commerce Street identifies the site of a slave market and near the railway station a jail for 700 Union prisoners captured at the Battle of Shiloh. On 644 Washington Avenue stands Davis’ official residence, his bedroom slippers, briefcase and top hat on reverent display. This was the Southern White House until the rebel government shifted to Richmond in mid-1861. In Montgomery Civil Rights overlays Civil War. You spend a day walking in the footsteps of Martin Luther King and Rosa Parks and Jefferson Davis.. While the Civil War saw slavery abolished, blacks were still denied the vote. The drive from Montgomery to the old river port of Selma is a national historic trail that marks the route protestors took in 1965 demanding that Congress pass the Voting Rights Act. Midway off US 80 you can visit a Voting Rights Trail Interpretive Centre, a stunningly vivid museum, which tells a story of entrenched racism in Lowndes County and of the confrontations between marchers and police with batons and tear gas and venomous white racism. Then a visitor continues the journey to Selma, crossing Edmund Pettus Bridge, the site of an annual Jubilee each March that has drawn candidates for the presidency such as Hillary Clinton and Barack Obama. Yet you keep encountering the Civil War. Driving north from Montgomery to Birmingham a visitor diverts to a compact but well organised museum of the Confederacy, originally a home for old soldiers, at 437 County Road 63, Marbury. It’s one of the most informative Civil War museums I’ve visited, showcasing the Alabama contribution to the war. 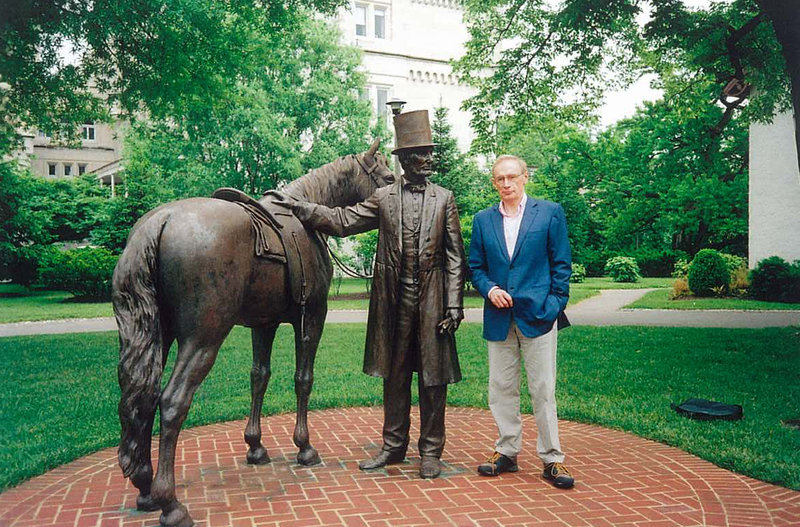 You are reminded of the fundamental reason for the Civil War: that in 1860 there were four million slaves, they were half the population of the South and they were worth $4 billion, more than all the factories and the railroads of the entire nation. There is a rich display of weaponry. You learn it took 20 seconds to reload a musket and that the first version of a repeating rifle was expensive and unreliable. Back on Interstate 65 I tried southern cuisine at the Golden Rule Barbeque: for $9.49 a jumbo turkey plate with side dishes of collard greens and baked beans. Avoid fried food and cheese and southern cuisine can deliver a low carb diet. Birmingham is an industrial city built on coal and iron-ore – and on savage racial segregation. You are reminded of this in the Civil Rights Institute museum. One simple display shows it all: drinking fountains marked “whites only” and “coloured”. This museum also highlights the dynamic black culture that thrived around Fourth Avenue, concentrating black enterprise and entertainment into six blocks. The museum exhibits a grisly collection of newspaper cartoons and toys that caricatured blacks. Here, too, are the cell doors that imprisoned Martin Luther King in Birmingham jail. From a plate glass window a visitor looks across at the 16th Avenue Baptist Church with its twin towers and Romanesque and Byzantine design, where in 1963 a bomb killed four girls attending Sunday school. The outrage swung American opinion decisively behind desegregation. But Birmingham is a surprise, a city of jazz, art and fine food. The Birmingham Museum of Art is the largest free art museum in the south, their signature piece a monumental Albert Bierstadt panorama of the Yosemite Valley. At Highlands Bar and Grill, regarded by some food critics as one of the five best restaurants in the United States, one sees State Senators and a candidate for Governor dining on produce from local farms. Frank Stitt’s Provencal-influenced Southern food is backed by 150 recipes. Well, for example: grilled quail with butternut squash and dried fig risotto; roast pork loin stuffed with rosemary, bacon and onions; and sweet potato tart with coconut crust and pecan streusel. Today Alabama tourism rests heavily on a trail of 468 holes at 11 different golf sites, a trail designed to draw those seeking game-challenging landscapes. There are extraordinary gardens: Jasmine Hill, Montgomery and at Bellingrath, Mobile. At Huntsville the US Space and Rocket Center is, according to John Glenn, the finest rocket collection in the world. Here for example is displayed the Saturn V restored to its Apollo-era readiness and the Apollo 16 Command Module. In this part of Alabama the name of Wernher von Braun, the German rocket scientist recruited by America after the Second World War, is spoken of with reverence. For this history buff, however, it’s Martin Luther King’s kitchen, a church with the scars of a bombing, Confederate battle flags and muskets and the museum devoted to Rosa Parks that made Alabama an excursion in American history. My daughter and her family live in Potomac, Maryland. She also lived in Nashville, Tennessee, where another great American lived and who played a role in the construction of some of our major dams. Many of the places you have visited were visited by myself and my wife as well, including Gettysburg. I agree with your words, written in the second last paragraph, final sentence, as you describe von Braun. As an immigrant kid arriving from Hannover, Germany (1959) and subsequently attending University in Sydney, I recall being introduced to a German Physicist, who was unable to obtain work in Australia, because they would not recognise his qualifications, even though some of his publications were available for borrowing in the University library. The man was in his 50s and he subsequently joined von Braun. The US Space and Rocket Center was built for Wernher von Braun and his statue reminds all the world that it was his scientific skill including the skills of his team, that put the first human being on the moon. It also reminds me about the seven ways of learning & teaching process, used to educate some NASA scientists. 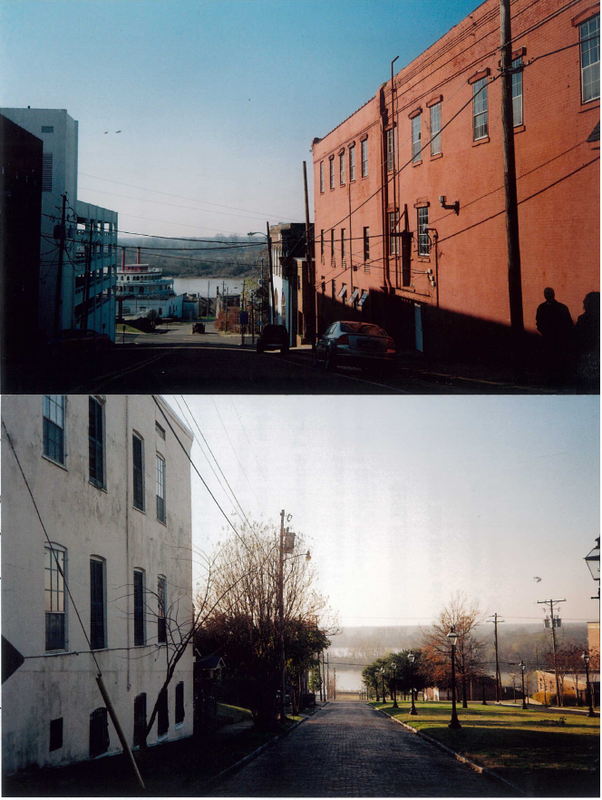 I was in Vicksburg in the 1990s, your description of its sad and decaying state is spot on. The National Monument site is awesome (in the old sense) recalling the siege, the stoicism of the townsfolk holed up in the hillside caves, Pemberton’s honourable defence, and Grant’s humanity after the surrender. The Confederate cemetery near the river is so cool and peaceful, it’s hard to imagine it as a symbol of futility and tragedy. It was also interesting to make the drive from Vicksburg to Natchez via the beautiful Natchez Trace and compare the sorry state of Vicksburg to the surviving antelbellum glory. Where Vicksburg is in decline, Natchez economically is on the rise – not least due to gambling. Perhaps the most sobering place I visited was Jackson, Miss, where it was striking how thin the veneer of civil rights and racial equality actually are in parts of the Deep South. My hotel was downtown and the poverty and hopelessness confronted the local black community was palpable and everywhere. Thanks for this blog – it’s lovely, if such a term may be used of any war. I wonder if you have formally reviewed Keegan’s ‘The American Civil War’? If so, I’d appreciate being directed to the review. I enjoyed the book although found it a little confusing (time & geography.) But as the author says, it also confused those managing the conflict. I would have thought that the South might have had the advantage there. What do you think? Best regards and good going in your new job!